London Fashion Exhibitions To Look Out For In 2014! This exhibition takes the visitor on a journey through loveable Paul Smith’s life and what inspires his iconically British designs. His career is brought to life with makeshift versions of his first store in 1970 and his office which is known to house a variety of weird and wonderful souvenirs that Paul Smith has collected over the years. Paul Smith played a big role in curating this exhibition, selecting ensembles from his collections and lending personal memento’s. If his colourful collections and personality are anything to go by, this exhibition will be a delight! The highly anticipated exhibition pays homage to one of the most prominent fashion capitals, displaying italian womenswear and menswear from 1945 to the present day. 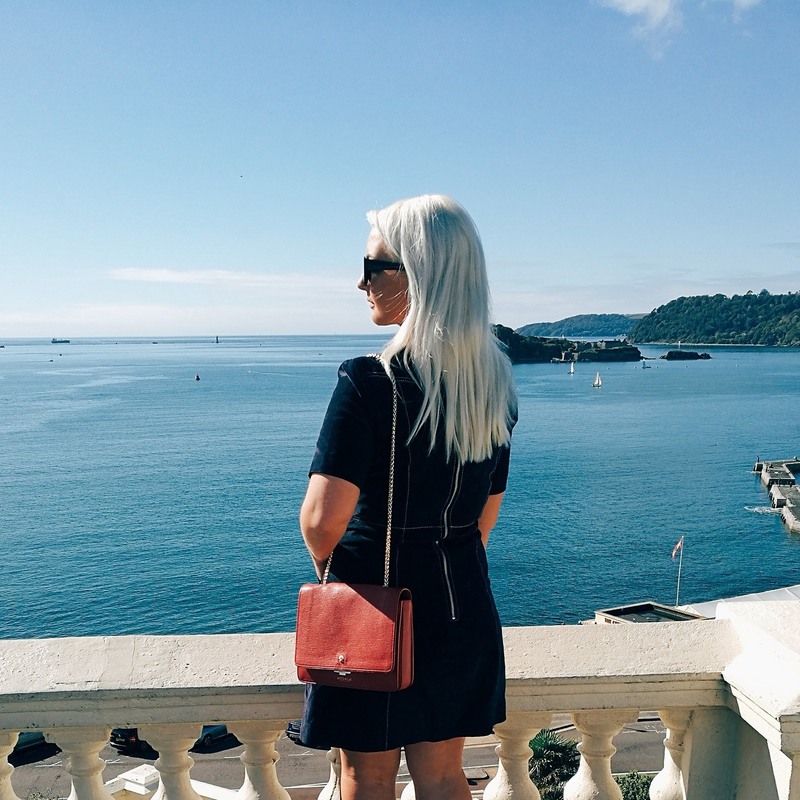 The glamorous and luxurious style that Italy is so famous for is reflected through 100 outfits and garments designed by Valentino, Pucci, Dolce & Gabbana, Prada, Versace, Gucci, Fendi, Giorgio Armani and Simonetta amongst others. 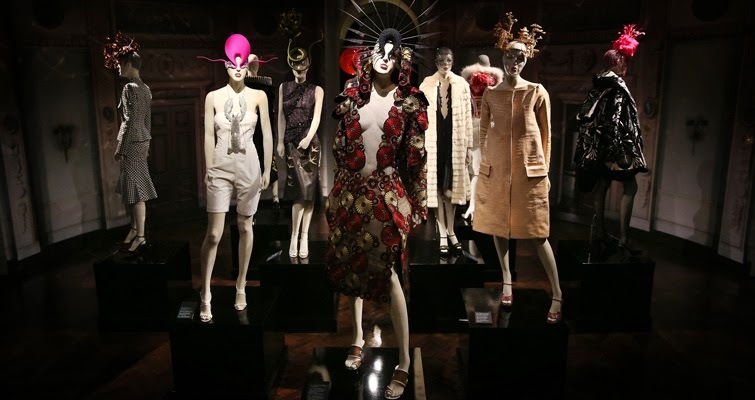 Over 100 Hats and outfits belonging to the late Isabella Blow are on show at Somerset House. Through her days as a magazine editor and muse she is known for discovering and collaborating with some of fashion’s most iconic talents including Alexander McQueen, Philip Treacy, Hussein Chalayan and Julien Macdonald, Steven Meisel and David LaChapelle. The exhibition features bespoke pieces specially designed for her by Philip Treacy and Alexander McQueen alongside the spring summer 2008 collection both the designers collaborated on in dedication to Blow’s legacy. In May the Victoria and Albert museum will celebrate the dress that overshadows all other dresses; the wedding dress. 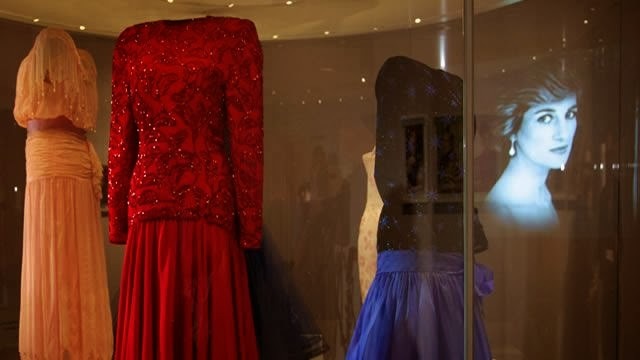 Over 80 stunning gowns spanning over two centuries will be on display, including dresses by Dior, Vivienne Westwood, Temperley Bridal, Jenny Packham, Lanvin, Christian Lacroix, Vera Wang, Jasper Conran, Osman, Gareth Pugh and Bruce Oldfield. There will also be iconic dresses worn by The Duchess of Argyll (pictured above), Dita Von Teese and Camilla, Duchess of Cornwall on her marriage to Prince Charles. And of course no bride would be complete without accessories. Beautiful shoes, veils, garters, jewellery and hats will also be on display alongside personal memoirs of the dresses journey such as photographs and sketches. This unique and rare insight into one of the most personal and precious forms of apparel also explores the impact class, technology and expectations of that era had on the design. 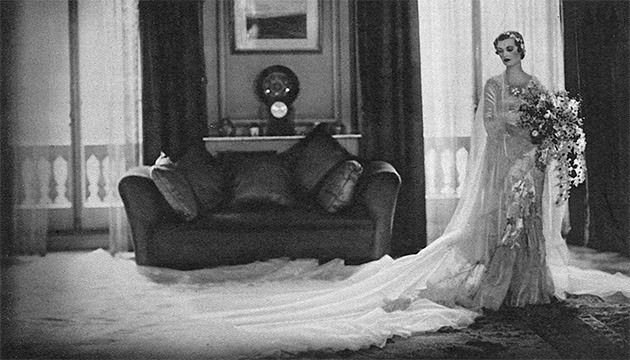 Throughout history the wedding dress has held a huge amount of value and importance both personally and socially. I have no doubt that this exhibition will be a heavenly pageant of romance, lavish fabrics and fascinating history. 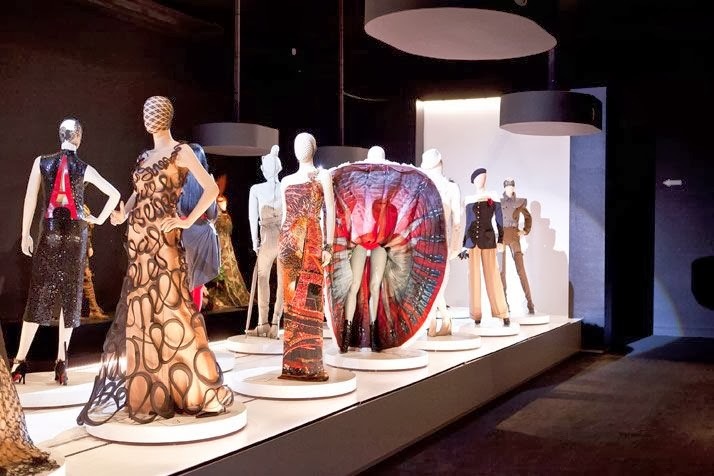 This is the first major exhibition dedicated to the Italian designer and theatrically displays 140 ensembles spanning over Gaultier’s 40 year career as avant-garde royalty. The iconic conical bra worn by Madonna is one of the highlights, and a reason enough on its own to check out this exhibition. The National Portrait Gallery is paying tribute to the man behind some of Britain’s most iconic photographs. 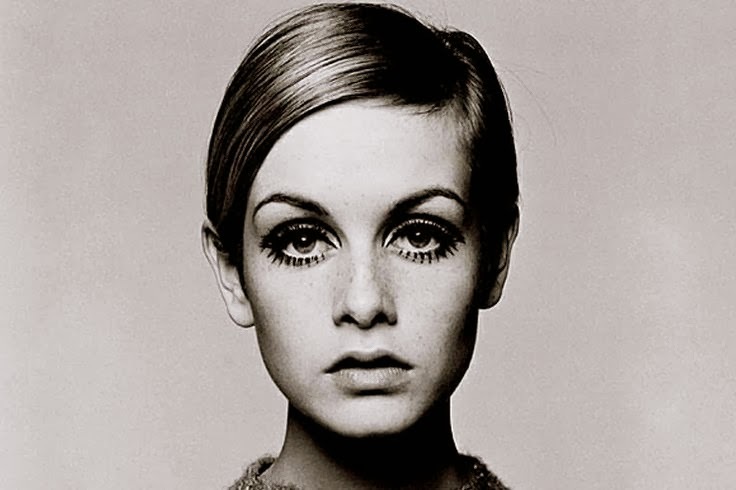 David Bailey himself chose the 250 photographs that are displayed at the museum ranging from fashion editorials for Vogue to hollywood portraits. Famous faces include Kate Moss, The Rolling Stones, Jean Shrimpton, Freddie Mercury and Dali to name but a few. 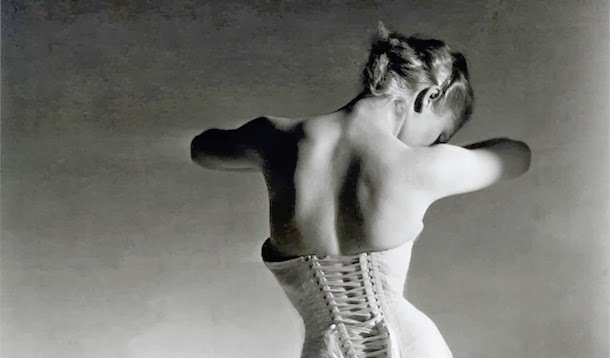 Horst’s glamorous work is exhibited at the V&A later this year. The exhibition will feature his finest work and also some rare, never before seen prints alongside personal sketches and letters. The photographer who’s 60 year career saw him photograph models dressed in Chanel, Schiaparelli and Vionnet. This beautiful collection of photographs is not one to miss! They all look great, especially the The Fashion World of Jean Paul Gaultier – great post! What an amazing post! Thanks for the information! Jenna, thank you so so much for all of these details! I cannot wait to see the Fashion Rules and The Glamour of Italian Fashion exhibitions. If I could, I'd love to go the Fashion Rules at Kensington! Great post! I love your photography, what camera do you use?